Nigeria Football Federation President, Amaju Pinnick says the board are solidly behind Super Eagles Technical Adviser, Gernot Rohr despite losing 2-0 to Bafana of South Africa in a 2019 Africa Cup of Nations in Uyo. The defeat which was a bitter pill to swallow by the NFF and the Sports Minister, Solomon Dalung, immediately necessitated the need for an emergency meeting that was held last week Tuesday, so as to delibrate on the way forward in a bid to avoid such occurence in subsequent matches. In the meeting, it was agreed that Rohr must have to submit his Super Eagles list for vetting to the NFF technical department before releasing it to the general public. Although, the move has been described as an interference to his job, however, the former Delta State Sports administrator, told Lagos City Herald in a telephone chat that the board are not putting any pressure on Rohr but wants things to be done properly so that the team won’t fail to qualify for the 2019 Africa Cup of Nations toirnament. “It’s true that the Nigeria Football Federation and the Sports Minister have order the Super Eagles Technical Adviser, Gernot Rohr to submit his list for every game to the NFF technical department for vetting. 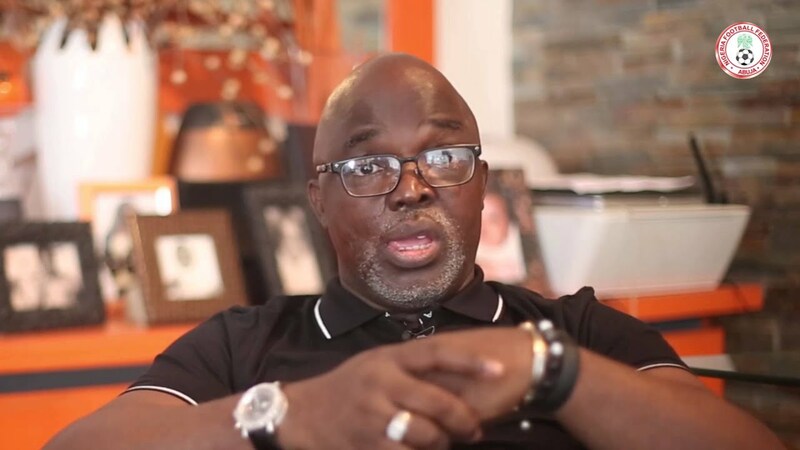 We are doing all these to ensure that the mistake we made against the Bafana of South Africa doesn’t repeat itself again subsequent games,” Pinnick told Lagos City Herald. “Mind you, this doesn’t mean that we are putting unnecessary pressure on him but then, we just want to checkmate and reduce some errors that could cost the team a place in he 2019 Africa Cup of Nations or 2018 FIFA World Cup qualifiers.